We’ve stopped briefly on our walk through the Italian countryside, on the way to a local restaurant, because Ludovico Einaudi wants to eat some flowers. He beckons the press over and begins to speak about the qualities of this particular specimen, encouraging us to pick a few to garnish our salads and risottos later. Various members of the international press in attendance begin collecting them, stuffing a handful in pockets and the occasional one or two in their mouths. I chew on a few petals and watch as the composer sets off again, down the road to find the next adventure. Are they poisonous? Nobody asks. Today Einaudi is the pied piper of Piedmont, and we follow him wherever he takes us. As it turns out the 63-year-old is an excellent walking companion, which is exactly what makes his new album cycle Seven Days Walking such a compelling work of art. Inspired by a succession of mountain walks taken during the darker months, the project is intended to illustrate the capricious nature of both the environment around us and our perception of it, each subject to change at any moment, however much we grasp at commonalities. If it sounds like the work of an experimental artist on the fringes of modern classical music, that may belie the fact that Ludovico Einaudi is something of a superstar – well beyond the remit of where his genre typically extends. If you’re not familiar with the name, you’ll nonetheless be well acquainted with his music. Unusually, Greg James started playing his track ‘I Giorni’ on Radio 1 in June 2011, eventually leading to a Live Lounge performance. It wasn’t the start of Einaudi’s fame, though it may well be regarded as a significant catalyst in moving him into popular consciousness, especially among younger listeners. This Is England and its TV off-shoots have featured emotional contributions from the Italian. Dramatic moments on The X Factor have typically been bolstered by a blast of Einaudi. Nicki Minaj is famously a fan, and has walked on stage to his music in the past. The rest were recorded between September and the beginning of November 2018, between a studio in Germany and London’s Air Studios, a space including a church venue which he describes as “beautiful”. I tell him about the intense sadness I felt in the new music, and wonder if there was a conscious melancholy in the process. A few hours later the wine is flowing over lunch, and he laughs and tells stories and throws wild garnishes over his food in the way that Einaudi does. These are ordinary moments for him, ones that he’s acted out a few thousand times before, and perhaps will another thousand times more. But they remain touched by adventure. “It’s sad because I think in those decades of my youth, sometimes the ideas were crazy, but you could feel something deeply revolutionary inside,” he tells me towards the end of our allotted time. “It makes me a bit sad because I desire more of that.” Einaudi remains restlessly creative, always seeking out a different angle or a change in atmosphere, even as he perceives a world around him that has become lost in a screen of snowy static. The flowers were delicious, though. Seven Days Walking (Day One) is out now via Universal. 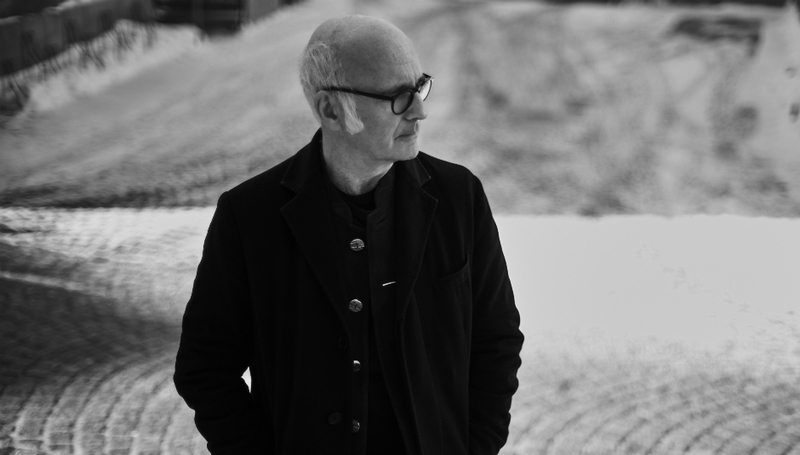 For more information on Ludovico Einaudi, including forthcoming tour dates, please visit his official website.